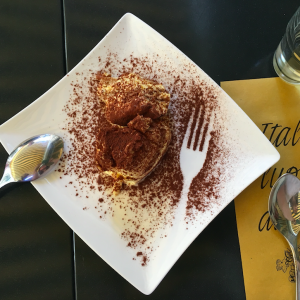 If you’ve read my blog about Having the Cheesiest Time in Reggio Emilia then you might be wandering what we did next. Well we got in the car, drove back North a little bit to the wonderful city of Parma and set of to explore. Having done so much research into food tours for the morning part of our day I had done very little research for the afternoon. The intention was simply to park the car and go with the flow; which is exactly what we did. Amazing street of giant hanging lampshades. 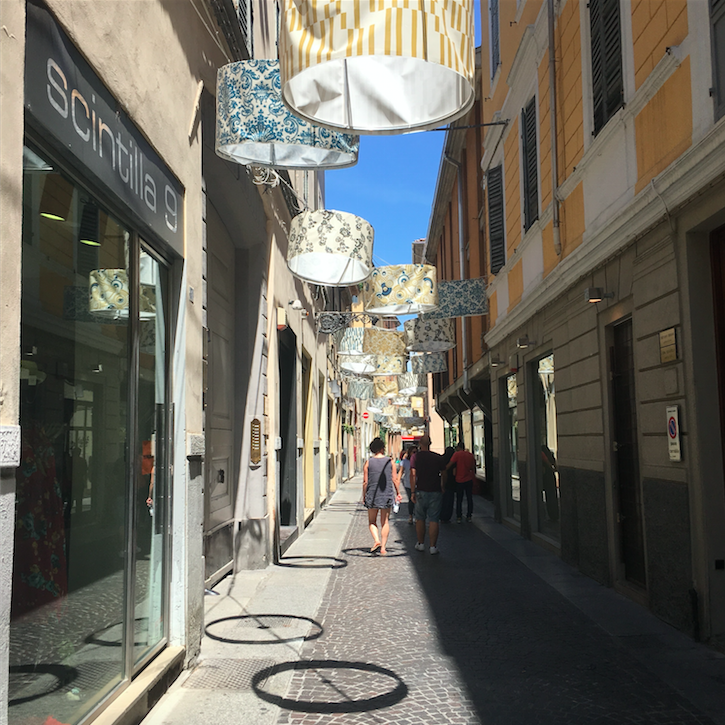 We sauntered along in the midday sun, popping into the occasional shop and soon found ourselves outside Cattedrale Di Parma. Being curious folk we wandered inside. So often on our travels we have had to pay an entry fee (which I don’t object to at all) to have a look around beautiful, ancient buildings. The modest entrance and lack of ticket booth did not prepare us for the stunning sight that lay within. It’s a very tranquil space yet every surface is decorated with colourful paintings or carvings. 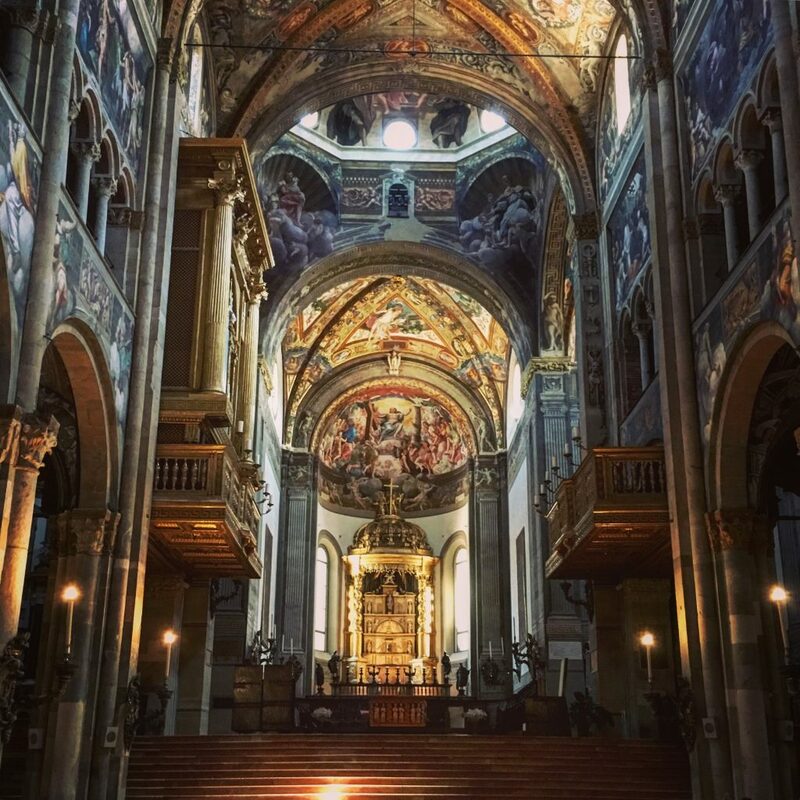 Having no expectations meant we were very pleasantly surprised by it’s unexpected beauty; definitely worth a look if you’re in Parma. A little more wandering around helped work of the morning’s cheese feast and we were ready for a little more food. We browsed a number of reasonably priced and delicious sounding menus before settling on Antica Osteria Della Ghiaia, where we sat outside under the welcome shade of their white and green, stripy awning. Lunch here was exquisite! A grandiose word, yes I know (as is grandiose) but certainly apt for the food you see below! 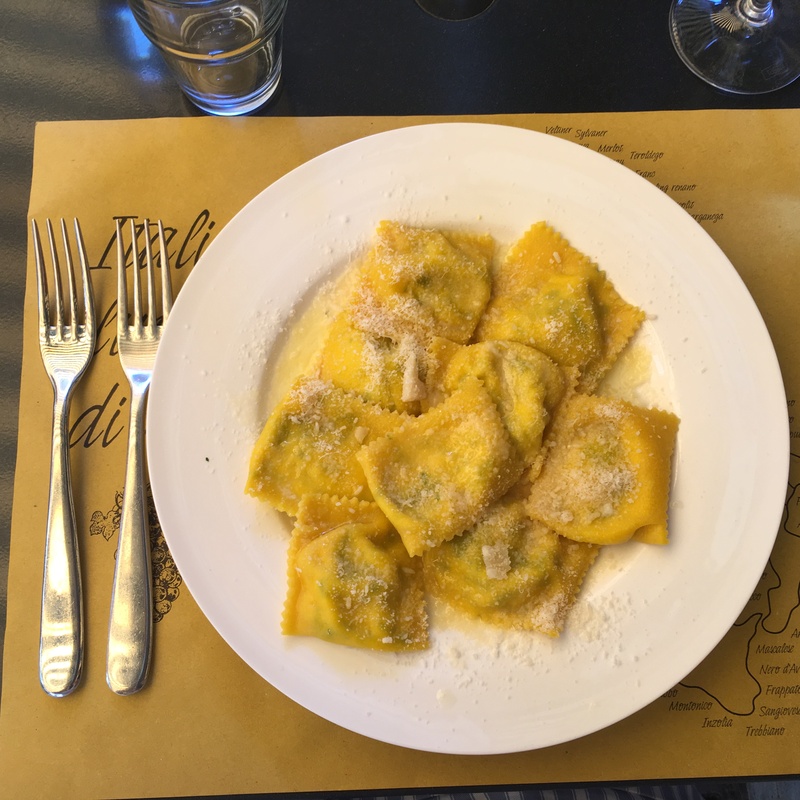 We started with Tortelli di Erbetta alla Parmigiana, a speciality dish of the area – every bite was a treat and it was especially nice to be tasting the cheese from the morning, used in a fresh, local dish. Next we shared a plate of meats and these delicious square savoury doughnut parcel things called Torte Fritta (literally friend cake). We finished up with tiramisu and washed it all down with two generous glasses of spumante. All in all, Parma is a small town and lacks the touristic reputation of Milan, Venice and Rome. 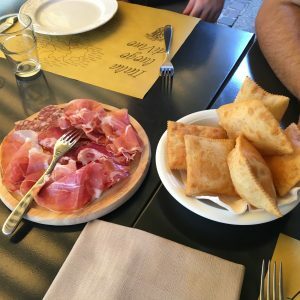 However if you’re looking for a gentle walk along beautiful streets and amazing food, give it a go – you may just find a great day in the Parma your hands.